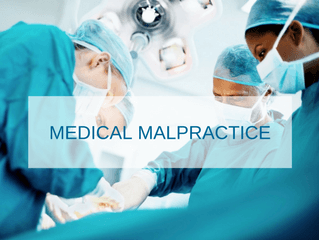 Blog / Do I have A Medical Malpractice Case? In Texas, medical malpractice cases are governed by a comprehensive statute called the Health Care Liability Act, which is codified in Chapter 74 of the Texas Civil Practice and Remedies Code. Enacted by the Texas legislature in 2003, it governs both the procedures that victims of medical malpractice must follow and limits the recovery of those victims. We often receive inquiries from prospective clients that do not want to file a medical malpractice case; rather they want to file a “negligence case” because they were harmed while receiving medical care. It is important to know that healthcare liability involves all causes of action against a health care provider for treatment, lack of treatment or other claimed departure from accepted standards of medical care which causes harm. The Texas Supreme Court and Courts of Appeals have broadly interpreted this statute to apply to hospitals, physicians, surgical centers, clinics, assisted living centers, nursing homes, etc., and to most harm that occurs in the setting of medical care, even when it does not apparently apply to medical care. We have spoken to many prospective clients who were unaware that their potential cases would be considered healthcare liability cases. It is very important to err on the side of caution because the Health Care Liability Act imposes strict requirements that must be followed. Before a victim of medical negligence case can pursue a case against the healthcare provider, a qualified expert must review the medical records and applicable medical research to write an opinion that notifies the responsible health care provider of the standard of care, how the healthcare provider breached the standard of care, and, often the most complicated factor, how the healthcare provider’s breach of the standard of care caused the harm to the victim. Shortly after a lawsuit is filed, the victim must serve the report on the defendant healthcare provider. If a victim of medical negligence fails to comply with these strict requirements, the trial court must dismiss the lawsuit and award costs from the victim to the healthcare provider. We understand that what normally compels a person to contact a lawyer is that there was a bad outcome of the medical care. However, a bad outcome is not evidence of medical care that falls below the standard of care. In every case, the defendant healthcare provider will also hire expert witnesses to contradict the victim’s expert witnesses. At Perdue & Kidd, we extensively research our prospective clients’ cases to maximize the likelihood that they will withstand the defense experts’ scrutiny. The Health Care Liability Act imposes strict limitations on the amount of money a victim of medical liability care may recover for the human harm caused by negligent healthcare providers. That is the physical pain, mental anguish, physical impairment, and impairments to a person’s life. This includes grief for the death of a loved one and all the changes to anyone’s life a result of either harm to themselves or their spouse or child. The damage caps are $250,000 for a hospital and all doctors in the same case share $250,000, for a maximum of $500,000. If there is no negligence against any doctors or no negligence against a hospital, the maximum recovery for the human damages is $250,000. The law does not impose damage limitations on economic losses, such as medical expenses, accommodations, lost earning capacity, and loss of household services. The issues presented in medical malpractice cases are complex, both legally and medically. Most of the lawyers hired by the hospitals, doctors, and their insurance companies are competent and experienced in the medical/legal issues. It is imperative that victims of medical negligence hire lawyers who specialize in these cases. If you believe you have been a victim of medical malpractice, give us a call. 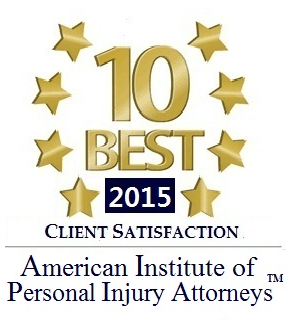 We offer free initial client consultations.